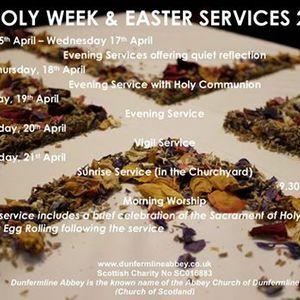 During Holy Week there is a service each evening at 7pm. 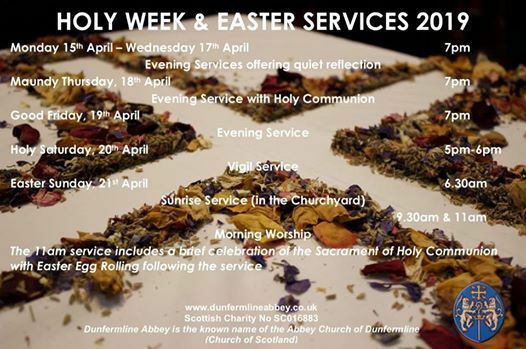 From Monday to Wednesday these are short, reflective services that focus on characters from the stories of Holy Week or based on Passion themes. On Maundy Thursday the service recalls the night before Jesus's death on the cross and includes the sharing of communion. On Good Friday the service is evocative of the emotion of death of Christ. 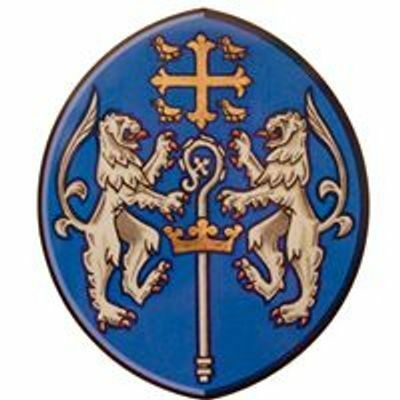 The services are often lead by different people associated with the Abbey Church of Dunfermline.